The Carpenter’s arms is still open and is receiving the attention it deserves, by way of a refurbishment that will be complete by mid October 2018. Adrian, Riana and the team look forward to welcoming you to a new and exciting Carpenter’s Arms ! In the meantime please be aware that building work is ongoing and there may be associated noise and distribution, so if you are thinking of visiting or staying with us, and wish to talk to somebody first, please contact us on 01635 278251. With plenty of character and really friendly, cheerful staff, The Carpenter's Arms has a good mix of both locals and visitors. It is comfortable and understated with stools, lots of tables and a roaring log fire in wintertime. And pubs don't come in settings much better than that of The Carpenters Arms, either, which overlooks Watership Down, the inspiration for the famous story and film. At The Carpenter's Arms we're passionate about offering good, honest pub food all day every day, using fresh, seasonal ingredients. Our chef works closely with trusted local suppliers to bring a wide selection of ever-changing light bites, pub classics and seasonal dishes - and a great Sunday Lunch, with a choice of three meats, all the trimmings plus a vegetarian choice! & Sunday 12-3pm with rolls after 3pm. Come and celebrate at The Carpenters! Accommodation in Newbury close to the A34. You'll find them all beautifully appointed, most en-suite and all offering the ideal place to stop-off if you're exploring the area. The whole house can be rented exclusively for long lets with self-catering. 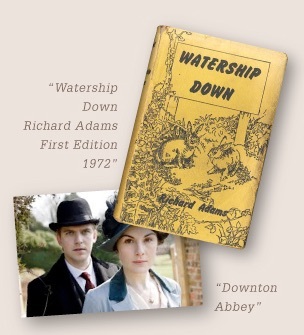 The film crew for Downton Abbey found it perfect! Just to give you a flavour of our lovely pub, garden & accommodation rooms. 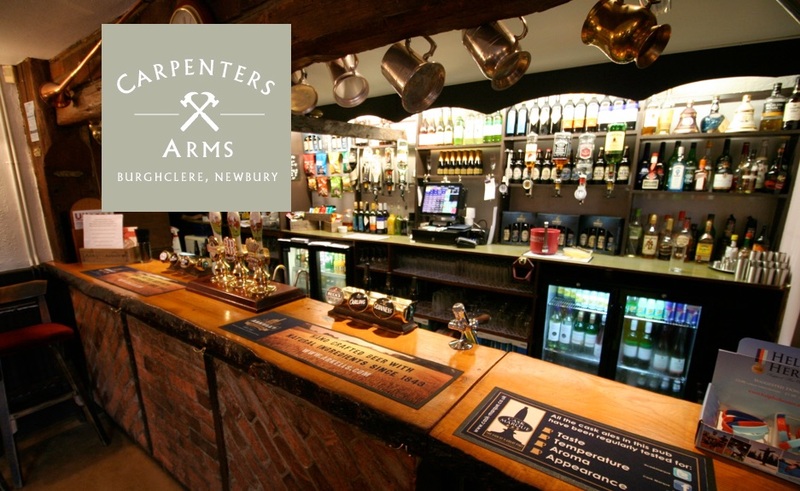 The Carpenters Arms is perfectly situated in the beautiful Berkshire countryside, and overlooks Watership Down - the inspiration for the famous story and film. 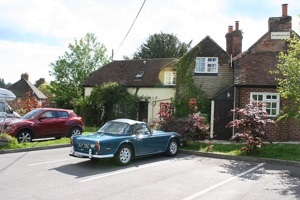 If you fancy a gentle amble across the countryside, The Carpenters Arms is ideal. Please see the link below for a popular walk that starts and finishes at the pub! There's always plenty going on here at The Carpenters, from our regular meat draw every Sunday to being the home of community events throughout the year. The best place to keep up-to-date is via our Facebook page, where we like to keep things nice and social, so please give us a LIKE!